this is life changing. Request your free catalog today! We Promise Outstanding Adventure Travel Experiences For People With An Adventurous Spirit. Every active travel experience Boundless Journeys creates is complemented by signature accommodation, regional cuisine, and remarkable local guides who can show you the greatest hits and hidden gems of each destination. No matter where you want to go—or what you want to do—Boundless Journeys delivers unique, flexible, and exclusive travel at its best. We offer what every seasoned traveler looks for: the opportunity to truly experience a destination by slowing down, stepping out of your everyday life, and immersing yourself in places often only accessible on foot. Our small group cultural tours carefully uncover, gently explore, and quietly meander through some of the most exceptional and unspoiled places in the world. Experience the rewards of hiking through hidden valleys, over mountain passes, and into seldom-traveled areas where foreigners rarely visit. Whether you are planning a family reunion for 16 in Costa Rica, or want to meet with old friends in Europe, Boundless Journeys’ Custom Tours allow you to make your most amazing travel dreams a reality. Boundless Journeys delivers the world’s great adventures and exceeds expectations on every trip. If diversity of adventure is what you are seeking, Boundless Journeys has trips to satisfy your most imaginative spirit. Our worldwide adventure tours offer everything from wilderness treks to cultural expeditions, and we always find the hidden gems of each destination. Small group or private itineraries, memorable accommodations, and expert local guides define the signature Boundless Journeys active travel experience. Each trip has been unique and wonderful with its own charms. I have been repeatedly impressed with is the guides. Every guide has been exceptional! Very different personalities, but all knowledgeable, friendly, adaptive, good leaders, patient, and all amazing representatives of their countries. From flexible itineraries for small groups to handcrafted tours for you and your traveling companions: There is a Boundless Journeys adventure just right for you. Local to the region you’re exploring, our trusted friends have unique perspectives that take you beyond the usual to reveal the most authentic places, people, and food. 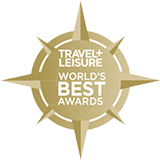 We take great pride in the experiences we deliver, as evidenced by the prestigious awards that Boundless Journeys receives year after year. A great travel experience doesn’t begin and end on the trail. It’s the little things that make the difference—and at Boundless Journeys, we take that philosophy to heart. We are committed to traveling responsibly, striving to preserve traditions and cultures around the world, as well as to protect fragile natural habitats.